Barrel: 4150V chrome moly steel. Nitride treated for accuracy and durability. Chambered in 223 Wylde, with a 1:7 twist rate, M4 barrel extension, and a rifle-length gas system. Barrel is finished off with a PSA 15" Lightweight M-Lok free float rail, .750" low-profile gas block, and an A2-style flash hider. Upper: Forged 7075-T6 aluminum A3 AR upper is made to MIL-SPECS and hard coat anodized black for durability. These uppers are made for us right here in the USA by a mil-spec manufacturer. Bolt: Full-auto profile bolt carrier group. Milspec Carpenter No. 158® steel bolt, Shot Peened, High pressure tested, Mag particle inspected, Gas Key Hardened to USGI Specifications, Fastened with Grade 8 screws, and Staked per Mil-Spec. 8620 steel M-16 profile carrier is nitride treated. will this upper fit up to an aero lower? BEST ANSWER: Yes, as long as it's a MIL SPEC AR15 lower it will fit. If its a little loose you can always add a wedge to the lower as well to make the fit even better. Mine fit the Mega lower great. I have a aero lower on mine functions great. 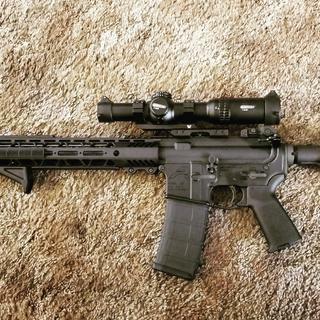 Is this a completed upper? Also will this shoot both .223 and 5.56? It is a complete upper. You just need to add sights and/or an optic device. Yes, just slap on your completed lower and you are ready to go !! Very smooth. I own several AR's, and they all are super accurate, even with iron back up sights. A beautiful upper that shoots as good and it looks. 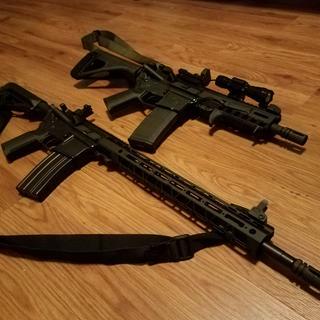 Yes, this upper will shoot both .223 Rem and 5.56. I have cycled over 1000 rounds of each through this exact upper with zero issues as a .223 Wylde allows both to shoot safely. Yes it is a complete upper - pin it to your complete lower and you're good to go shooting either .223 Remington or 5.56 NATO! Don't forget to add sights or optic of your choosing. Yes, it was complete upper. And yes, 223 Wylde will handle .223 & 5.56. It you google .223 Wylde you get a better answer and most consider it has better accuracy. Yes it is complete with bolt carrier group and charging handle, just attach it to a lower and your good to go. It will fire both .223 and 5.56 ammunition safely. 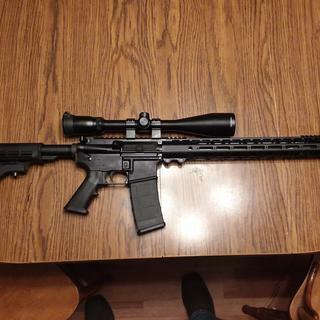 Yes, the upper is complete except you will need to add sights or an optic. The Wylde chamber allows both .223 or 5.56 NATO to be shot. Enjoy your upper! It is a complete upper assembly with bolt carrier group and charge handle included. Yes it will safely fire .223 and 5.56 without issue. It's a complete upper that includes the bolt carrier group and charging handle. The 223 Wylde chamber is for both .223 and 5.56. It is a complete upper minus the sights. And should shoot 223 or 5.56 I have only ran 223 through mine however. This is a complete upper. The .223 Wylde will shoot the .223 and the 5.56. Yes on both questions. Love mine. Is the flash hider removable? BEST ANSWER: Yes. It is held on with 1/2 x 28 threads. I was very impressed with this upper. I’ve had it for 6 months or so now and love taking it out. The A2 standard flash hider is totally removable and the barrel is threaded for any compatable muzzle device. It is. 3/4” open wrench will take it off. Yes has the standard 1/2-28 threads. Yes it is. Standard 1/2x28 threads. Yep, threaded barrel not pinned. Will this fit a Smith and Wesson mp lower? BEST ANSWER: Any “mil-spec” upper will fit any “mil-spec” lower regardless of the manufacture. They were engineered that way to make it easier to interchange worn or inoperable parts with lout needing a complete new weapon. I personally have not put my Wylde on a S&W lower but rest assured it will fit. Can't speak to M&P specifically but I've run mine on PSA and Delton lowers without any issues. Any milspec lower should be good. That's the beauty of the AR platform. I can't speak to M&P specifically but I've run mine on PSA and Delton lowers without any problems. Any milspec lower should be good. Yes, as long as you have not changed any thing on it. 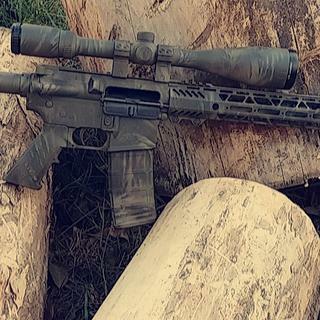 Does this rifle have an heavy barrel, hbar profile, or standard mil-spec. Smaller profile under handguad? BEST ANSWER: The barrel profile is not HBAR and is a more standard /light weight profile under the hand guard. 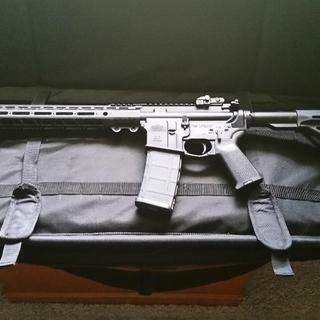 I prefer this one fro the intended use I bought the upper for which is 3 gun shooting. Fast handling and accurate. This offering from Palmetto State Armory comes with the A2 profile barrel. Medium/Heavy profile barrel. It is a great balance between a lightweight barrel and a heavy barrel. Does this come with bolt and charging handle? BEST ANSWER: Yes, it says in the name "With bcg & ch". The specs for the bcg are in the description. Who does the shipping? UPS, FEDEX, USPS? Can this be assembled before shipping? Great product for $300! Shoots and cycles great. 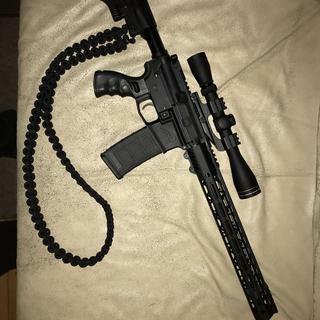 This is a great upper I did have some issues with the extractor on the bcg that it comes with but keep it well lubed and should shoot flawless. Exactly what I was looking for, a rifle length upper melonited with a bolt and charging handle in .223 wylde. Shoots great and loves all ammo you feed it. I am getting 3/4" groups at 100y with mine and thats with a stock trigger. I wish it was available more often, I would buy it again. Light weight and solid. Accuracy for me is 1 moa. Excellent quality and accuracy. I’m consistantly getting 1moa. Fits all of my lowers. 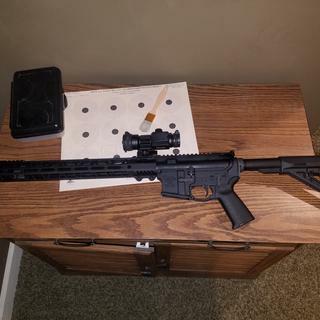 First time ar build and its actually something I'm proud of. Just got it and havent shot it yet so cant give it more than 3 stars. Not yet anyway. Only worry is the charging handle seems to be very flexible so I'll have to be careful with it. Other than that you cant ask for much more out of a barreled upper assembly, couldn't be happier with how the firearm turned out. Let's just hope it shoots! Threw an old vortex strike fire 2 on it. Now ready for the range. Very pleased. Shows great workmanship. Haven't had a chance to shoot it yet. This is my 4th upper from PSA. Great service and fast shipping. Great accuracy. I'm so happy with PSA I ordered my upper less then a week ago and received it today.Going to shoot ASAP..
Paired with PSA Classic lower the fit and finish is as good as any AR I've seen. 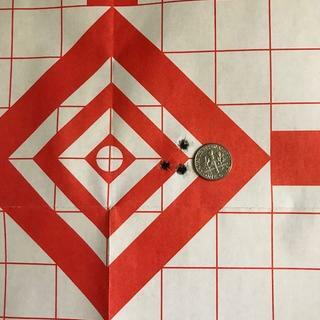 100 yard accuracy shooting 75 gr. hand loads is as good as it gets. Perfect set up to run with suppressor, accurate and cycles all types of ammo without an issue. Super nice upper from Palmetto great quality great customer service Highly recommend them to anyone!!! Can't wait to see how it does. First 18" upper I've purchased from PSA. Shoots very well and functions properly. Very pleased with the performance especially at this price point. 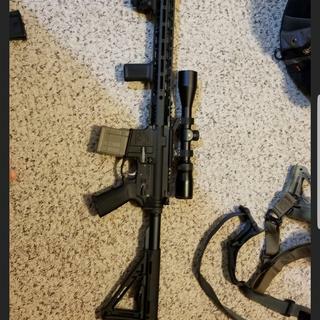 Received complete upper in less than two weeks, had minor cosmetic blemishes on handguard and barrel but doesnt impede with function, i figure itll happen anyways. Much more accurate than I had expected. The feel is great, but it's a bit heavier than I initially expected it to be... recommend having a bipod available. Excellent build quality, looks great and feels great. It's a nice upper for the money. 100rds without cleaning and it still hasn't had any reliability issues. as will my 18" stainless upper I also bought from psa. Ordered, shipped, and delivered within 1 week. Awesome experience. As for the upper, its well made, looks great. It has M-Lok Mounts on the sides, and bottom. Plenty of real estate to mount all your accessories. The upper and the rail meet very flush and are solid. Accuracy out of the rifle is incredible, even with low grade 55g reman ammo. I had 1 inch grouping at 150 feet. The Rifle Length gas system really cuts down on the recoil. The weight is perfect, not too heavy no too light. It also looks damn cool. I have it mounted to a BCM Lower and fed 150 rounds through it without a single hiccup. PSA has my business and I look forward to future purchases. Thank you guys! Great upper for the price. Even free shipping! 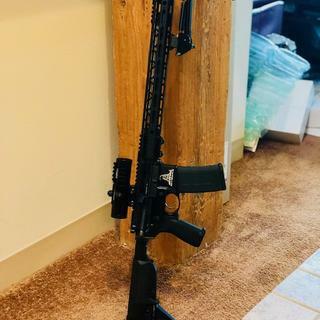 Purchased this upper for my first build. Very happy with this upper so far. Everything shipped quickly and easily. Was able to put 100 rounds through with zero issues. Can't wait to use it more! Best product out there for the money. All your products have been top notch. All fit as intended and perform as intended.